The Buckitt bag will prove to be a heritage piece that one day could be passed down, and have plenty of stories to tell – being made of the finest, most durable Italian, vegetable dyed leather hides not only ensures minimal environmental impact but that it will only get better looking with age. The Buckitt bag is designed to be reconditioned and worn parts replaced if required. Vegetable tanned leathers are becoming increasingly rare as companies switch from traditional methods of tanning leather using vegetable extracts to mass produced chrome tanned leathers. This means that our bags are thicker, sturdier and wear extremely well. This truly is a bag for life. 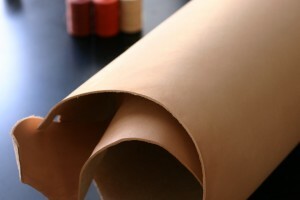 Vegetable tanned hides will show the natural characteristics of leather. This is what makes each bag unique. You may see small marks such as scars or insect bites, as unlike mass produced bags, these marks are not hidden by layers of pigmented paint. Each hide absorbs the dyes differently there are slight variations in the shade of the leather. It is usual for the colour of the leather to change overtime as the bags are exposed to the elements – this is part of the beauty of the natural leather. Buckitt recommend cleaning our bags with a soft cloth and warm, mildly soapy water. 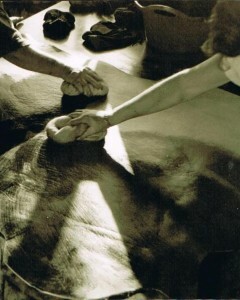 Wring until the cloth is damp and wipe the leather in a circular motion with light pressure. Repeat using only clean water and then allow to dry naturally. Water based stains can be cleaned by rubbing the area with more water. Do not touch oil based stains as the leather will over time soak up the stain and the stains will disappear. For small scratches, you could try Cherry Blossom polish closest to the colour of your bag. Rub a small amount onto the area you wish to treat, removing the excess polish with the clean cloth. If you wish to protect your Buckitt bag, you could try a leather food. 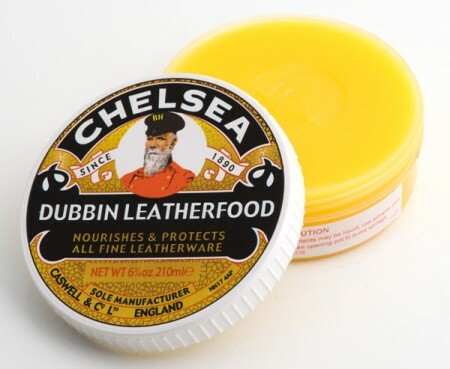 We here at Buckitt like Chelsea Dubbin Leatherfood, which is widely available. Please be aware that if you choose to treat your bag with a leatherfood , the leather will darken slightly.